Make a splash this summer with RSJoomla! Extensions! Home / Blog / Make a splash this summer with RSJoomla! Extensions! 12 months multi-site subscription at the price of 6 months multi-site. Any extension subscription purchased in August, no discount coupons or codes needed - it’s that simple! Golden sand, white-hot sun, pavement sizzling like bacon are hot images in your mind with maybe a summer vacation coming up. To get a refreshing feeling that lasts well beyond the end of this summer, purchase your desired RSJoomla! extensions today. RSBlog! - blogging is easy. Try it! … then browse the RSJoomla! Extension List and choose the extensions that match your desires. Attention: The discount does not apply to licence renewals! So now you can relax because you have 12 months of support and updates awaiting you, for a cool price of 6 months. 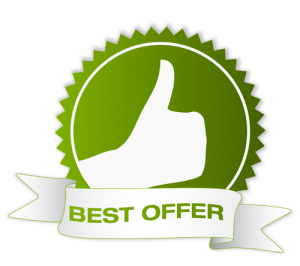 The offer is available effective immediately, but watch out because it ends at midnight on 31th August (31th Aug 2015 at 2359 hours UTC+3).